I am beginning to wonder if Fowler and James do everything they can to talk enough to keep Palmer from talking, as Palmer did not talk until 6 minutes into the game broadcast. They seem to give him these little homework assignments, like talking about certain players such as Cullen Harper and James Davis. I have a hunch he is just regurgitating things from the media guide when he does that. 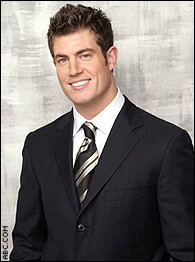 Instant Analysis-Jesse Palmer knows all the phrases for weight loss. When he gains weight and ends up with Berman, Marino,and Golic in the Nutri-System commercials he can put that knowledge to good use. PQ-Talking about the Wake defensive line-“Different lotations”. Yes, lotations, I rewound it and listened to it 5 times. I believe he meant locations. PQ-On Riley Skinner-“He threw a couple of turnovers early”. I am assume he means interceptions. Unless of course you can throw a fumble now. Note-Palmer so far has said Wake Forest's offensive coordinator's full name 3 times in the first quarter, a la Joe Theisman, I am going to keep a total on that for the game. PQ- (2 minutes after saying the Deacons are being too conservative) “They are really doing this in unconventional ways”. So can you be conservative and unconventional? Can I get a ruling on this? Palmer starts in with the “big splits again”, and gets Craig James to join him. PQ-Talking about a Clemson linebacker “He is very accountable on every play.” Did Florida have a “Bad Media Communication 101” class? PQ- “Blitzing is like playing hot potato with a hand grenade, any of these guys can go off at any time.” I am sure soldiers who have dealt with grenades absolutely LOVE that visual, Jesse. He is also the crew's token “read fun facts from the media guide representative”. At this point in his career, Palmer is a cross between Paul Maguire and Joe Theismann, only with inaudible mumbling and slurring added for fun. He may improve, but the odds on that are about 10-1.